Murthy’s letter comes even as Sikka celebrates the completion of three years at the helm of India’s second largest software exporter. Infosys co-founder N R Narayana Murthy’s concerns over governance lapses at the company have resurfaced. Murthy has asked the company to make the recent Gibson, Dunn & Crutcher report public. 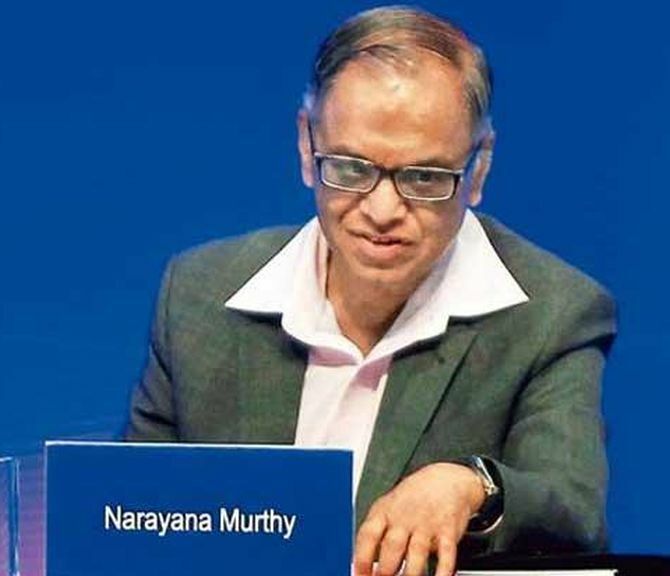 In a recent communication to the Infosys board, Murthy questioned why executives such as Ritika Suri - who was a member of the team that acquired Israeli firm Panaya - quit Infosys soon after the global law firm gave a clean chit. Suri, a former colleague at SAP of Infosys chief executive officer Vishal Sikka, was head of corporate development and ventures, when the deal was signed in April 2015 and she quit the firm in June this year. Since then, several executives have quit Infosys, including its Americas head Sandeep Dadlani, Anirban Dey, chief business officer of Edge products at EdgeVerve, and Yusuf Bashir, global head of Infys’ $500-million innovation fund. The summary findings made public by Infosys in June had looked at the questionable severance payout made to former chief financial officer Rajiv Bansal, expenses incurred by Sikka and whistleblower complaints to market regulators Sebi and the US Securities and Exchange Commission over alleged improprieties in the $200-million acquisition of Panaya. Murthy did not respond to an email seeking comment. Infosys said in a response that the company did not plan to make the report public. “The investigation involved interviews of over 50 witnesses in India, the US, and elsewhere, the review of company policies, board minutes, public filings and internal documents, the collection, search and review by Gibson, Dunn attorneys of many thousands of internal emails and attachments, the use of forensic accounting experts to analyse technical and financial information, the review of public filings and media accounts in multiple countries, the review of the CAM reports and supporting documentation, and other investigative measures,” said Infosys, pointing to the summary findings it released on its website in June. A former senior executive of Infosys said the recent exits of senior executives who were involved in this particular transaction and a company such as Infosys’ “no plan” to make the report public “raises more questions than answers”. Ever since Murthy made public his concerns on failing corporate governance public this year, Infosys has taken pains to address some of the questions, including changing policies that reflect better disclosure norms. It has obliged Murthy by taking his nominee D N Prahlad on the board and elevated Ravi Venkatesan, an independent director, as a co-chairman and chairman R Seshasayee, making public that he would retire next year. Murthy’s letter comes even as Sikka celebrates the completion of three years at the helm of India’s second largest software exporter. In a separate mail to employees on Thursday, Sikka emphasised the need to let go instead of holding on to the past without any reference to the ongoing tussle with Murthy. “Recently, when I turned 50, another anniversary, a great teacher of my life gave me a rare book of reflections by Hermann Hesse. In it, I found this one gem: Some of us think holding on makes us strong, but sometimes it is letting go,” wrote Sikka, asking nearly 200,000 Infosys employees to think of the future. “The future is really a construction of now. A string of beautiful, momentous, nows. We live with an illusion of permanence, but all we really have is the now, with their beauty, their opportunity, their challenge, their ephemerality,” he wrote to the employees.